Zoloft is an antidepressant drug that has been approved to treat a variety of adult disorders. Serious birth defects in newborns have been linked to the use of Zoloft by pregnant women. If you need help with the legal process involved in holding the medical manufacturer responsible for a birth defect in your baby, Medical Claim Legal can help. Obsessive-compulsive disorder (OCD) in adults, children and adolescents aged 6-17 years. Lawsuits are being brought against the drugs manufacturer, Pfizer Inc., by the mothers and families of the affected babies. 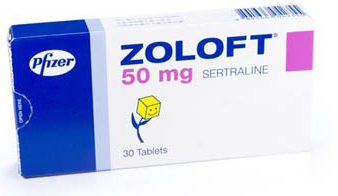 Pfizer recorded $3.3 billion in sales of Zoloft in 2005; the most of any antidepressant medication on the market. Pfizer is experiencing similar legal action as GlaxoSmithKline, the manufacturer of the antidepressant drug Paxil. GSK has paid out billions of dollars in lawsuits involving Paxil. A consultation with our lawyers at Medical Claim Legal is free. We will assure a lawyer with specific training in the prescription drug litigation field is assigned to your case. If you or a loved one have had a baby who has birth defects that may be the result of Zoloft, you deserve compensation. Let us help you start the process towards that claim today.